and so i boarded the bus around 4am, i was so darn tired and sleepy that i slept throughout the trip. actually, i can hear voices around me, most especially the conductor shouting on top of his lungs that it's a stop over...but i was too tired to get up and eat or go to the cr. honestly, i got teary eyed. LOL! 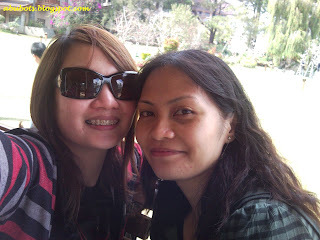 i went straight to Camp John Hay to meet my friend, Merie Cris (the bride-to-be). after 2hrs of chitchat, i was told that we would be on our way to lunch. i hurried to take a bath, and would you believe i went out without any makeup on!? yaiks! good thing i brought my sunnies...mom's indeed right when she told me that all i need is a good pair of shades (and a red lippie) for no-makeup days. 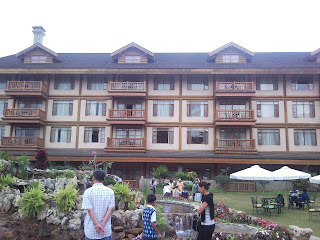 we went to the wedding venue to check out the garden where the wedding will be held. this place is so beautiful! i actually wished that i get married there (if ever i get married, lol). 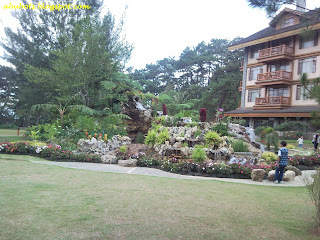 i just realized how much i like (if not love) Baguio. too bad i didn't have enough time. 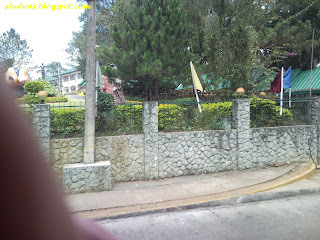 but i was able to drop by SM Baguio and strolled down Session Road which is closed at that time for their extended Panagbenga festival. I had some flashbacks while walking down Session Road. (sigh) i promised myself that i'll be going back soon. awww it's nice to go back to where you stayed in the past! 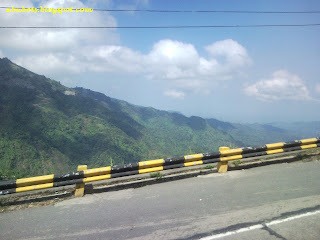 I haven't been to Baguio for more than a decade na!!! Your hair is long na sis! 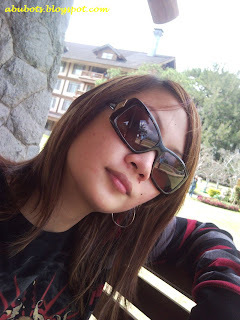 It looks absolutely wonderful, and you look great in your sunnies and red lippie!